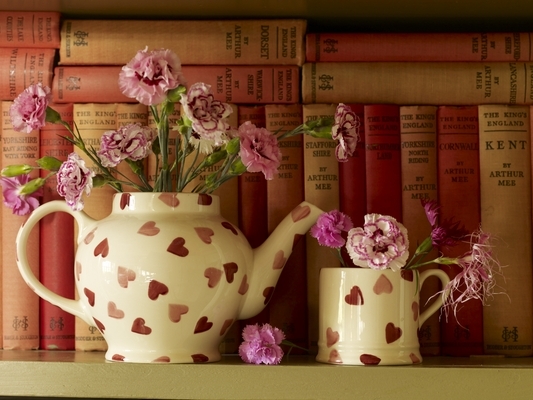 Make any house feel like a home by decorating with beautiful Emma Bridgewater. 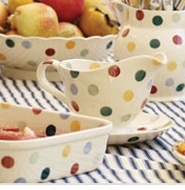 Emma Bridgewater pottery and dinnerware comes in a variety of designs ranging from floral patterns to polka dots and more. 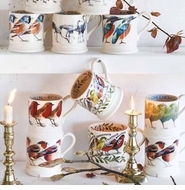 Distinctive Decor is proud to offer a large selection of beautiful Emma Bridgewater ceramics to choose from including all the season's latest styles. 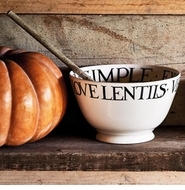 Adding high-quality ceramics to your home's decor is the easy way to bring warmth and personality into a space. 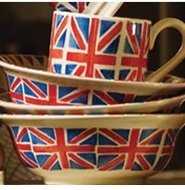 Emma Bridgewater pottery pieces are completely hand-made in Stoke-On-Trent, Staffordshire, UK. They are formed by skilled artisans using quality ceramics that are strong and durable when finished. All pottery items are dishwasher and microwave safe, so you'll never have to worry about how your kitchen appliances will impact your dinnerware. The ceramic pieces are carefully painted with bright colors and memorable designs that are perfect for bridal parties, high tea and other garden events. 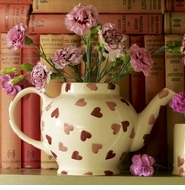 Add glamour and fun to any event with a lovely piece of painted pottery from Emma Bridgewater. 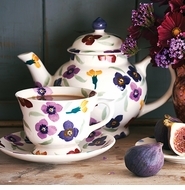 New Emma Bridgewater pottery collections are released each year. 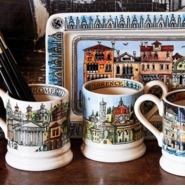 Because of this, the ceramics are popular for collectors that enjoy adding new patterns each year. 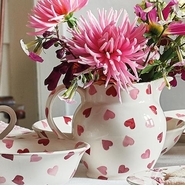 Most styles feature traditional adornments such as hearts, flowers or polka dots, giving the pieces their trademark look. 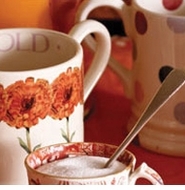 Because new collections are released annually, several Emma Bridgewater pottery designs have become highly collectible and older patterns can be hard to come by. To avoid having your favorite pattern sold out early, make sure you order as soon as possible. 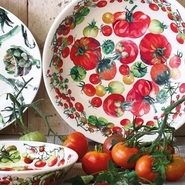 Give Emma Bridgewater pottery makes a great gift for a friend or family member. 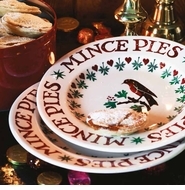 If there is a piece of current Emma Bridgewater pottery you are interested in that is not listed on our website, please contact us for pricing information. 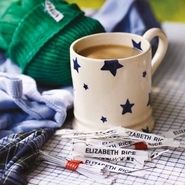 We are happy to order any of the current Emma Bridgewater products that you may need to complete your collection.